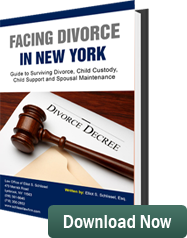 In a case in Westchester Family Court decided in August 2013, Judicial Hearing Officer Howard Spitz dealt with competing applications by both the mother and the father to modify a So Ordered Stipulation of Settlement granting physical custody to a child’s mother. Both the father and the mother filed petitions with the Family Court seeking to have custody changed to sole custody for them. The Court ordered an independent forensic evaluator be appointed. The evaluator was ordered to write a report concerning the competing custody petitions. The report of the forensic evaluator called the mother a “restrictive gate keeper.” The report by the forensic evaluator recommended the court grant the father sole custody. Judicial Hearing Officer Spitz in his decision stated neither the mother nor the father were able to establish a sufficient change in circumstances to warrant a change or modification of the custody arrangement worked out in the 2008 Stipulation of Settlement. Judicial Hearing Officer Spitz’s decision found the child was well adjusted, didn’t have anxiety, and was a good student. His decision stated giving one parent all decision making authority and awarding that parent sole custody was not in the child’s best interest. Both the father’s and the mother’s petitions were denied. The court did change decision making authority from the mother to the father concerning all issues involving education and financial matters.